MarqFJA87 wrote: That doesn't really look like an eyepatch to me. At best, it's a 50/50 chance between "eyepatch" and "coloring screw-up". But you can see the elastic going up from it over her nose. What you're interpreting as an eyepatch's elastic band looks like a barely visible random line to me. OK, that could believably pass for an eyepatch. You sure it's for Rebuild specifically, though? Maybe the artist just threw in Rebuild!Mari because he likes her; remember that she does appear in some non-Rebuild-related media (I think there's that one video game that was released before Rebuild 2.0 was released). You should see some of the stunts that some skateboards do IRL. MarqFJA87 wrote: OK, that could believably pass for an eyepatch. You sure it's for Rebuild specifically, though? Maybe the artist just threw in Rebuild!Mari because he likes her; remember that she does appear in some non-Rebuild-related media (I think there's that one video game that was released before Rebuild 2.0 was released). Yamashita himself tweeted the picture and said he put the eyepatch on the wrong eye and that it is for/from the Rebuild. Joseki wrote: Yamashita himself tweeted the picture and said he put the eyepatch on the wrong eye and that it is for/from the Rebuild. Huh. Well, mystery solved, then. 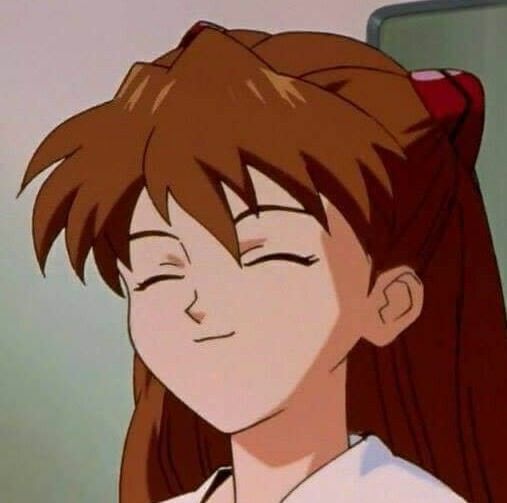 I ran across this image a while back when it was used as a reaction image. 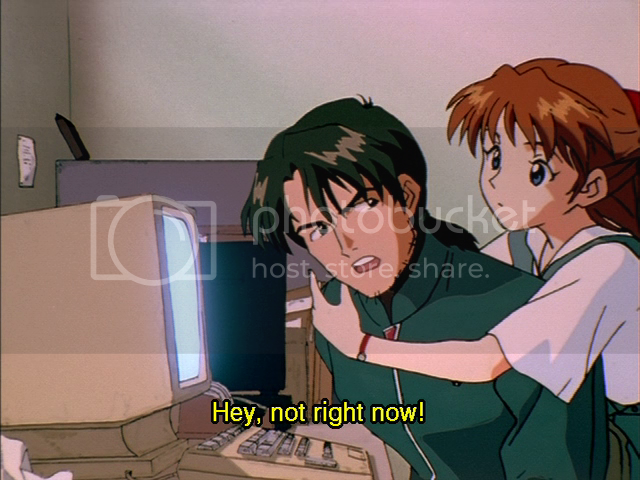 It's been bugging me that i couldn't find out what episode or scene it can be traced back to and google reverse image searches have found nothing regarding the episode or context. if anyone can point me in the direction of the episode, context, or scene when this image occurred i would really appreciate it! This is cropped from the high-res Blu-ray, I believe. 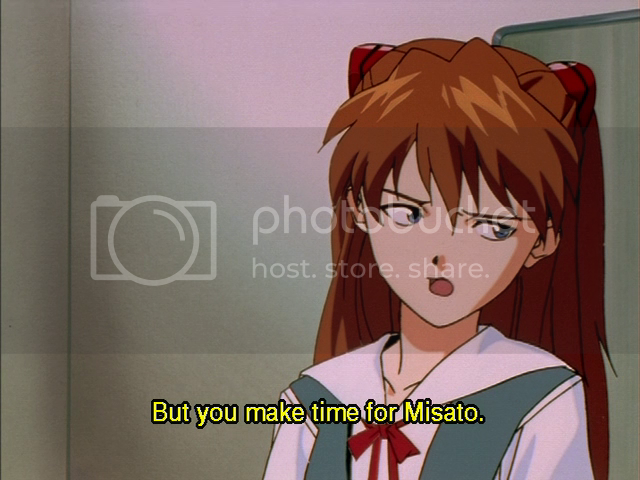 It appears to be from Episode 17, "The Fourth Child," where Asuka walks in on Kaji researching the new pilot. Can anyone identify which episode this shot appeared in? 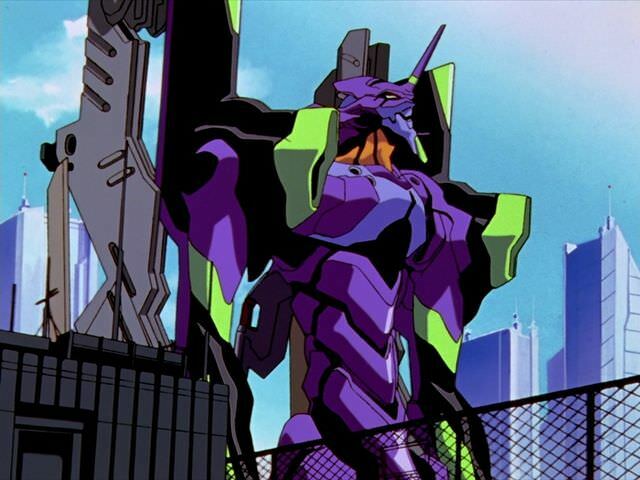 It seems different than other shots of the Eva's deployment so it sparked some curiosity within me. 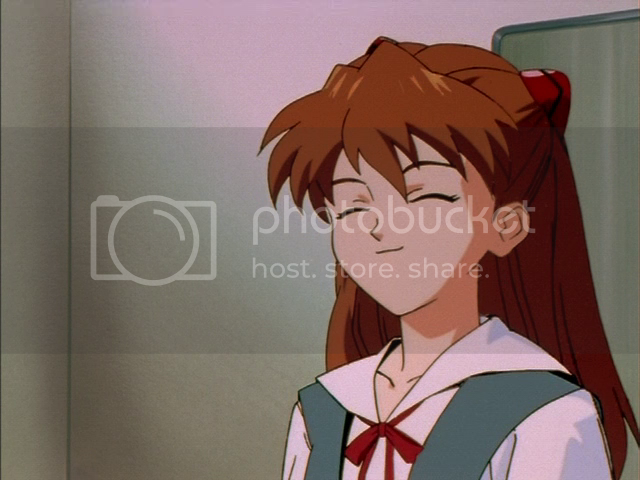 I once saved a fanart image of Asuka and I can't find it no matter where I look. 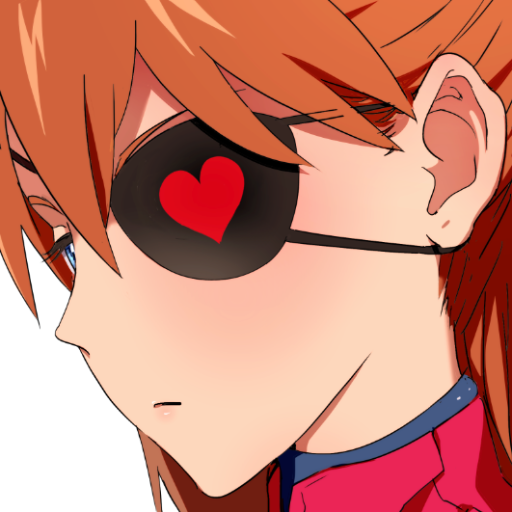 It was just a headshot of Shikinami with a heart on her eyepatch. If anyone knows the one I mean and has a source for it, I'd be much obliged. It's probably a pretty long shot to find it. 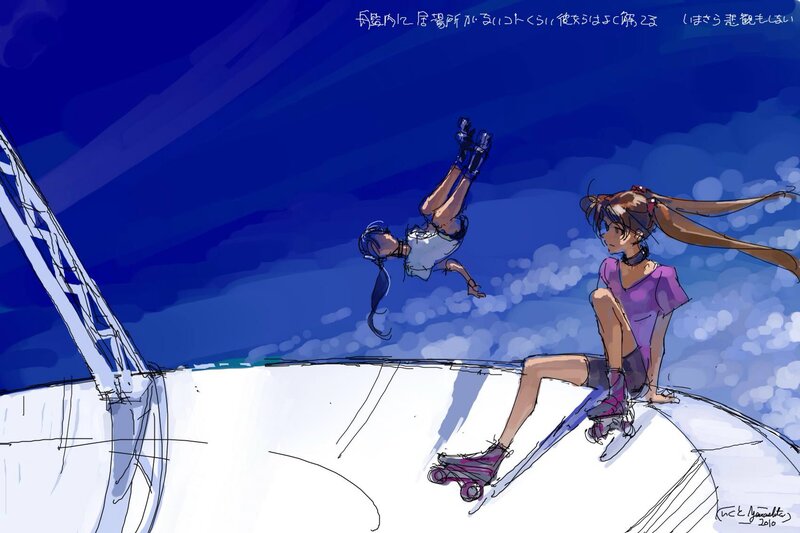 I *think* it was one of the drawings from that Asuka twitter thing which was probably a lot longer ago than I think it was. Hey Chuckman, is this the one? DarkBluePhoenix wrote: Hey Chuckman, is this the one? I reversed google searched the image and got this. Apparently its a cover art for a Full Color Doujinshi. Chuckman wrote: YES! Thank you.